Hunted in just a few words is simply mind-blowing. It’s not often that a book I read almost a year ago sticks with me when the next book in the series releases. That point right there is a testament to how well this writing duo crafts a novel. 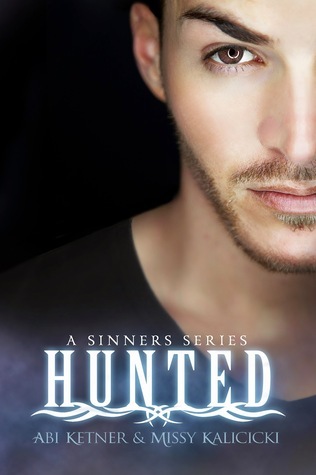 Hunted is just as fast-paced as Branded, and I loved it just as much. Sequels for me typically fall into two categories: Insta-Love or Insta-No. You can probably surmise that that Hunted falls into the first category. Lexi and Cole shine in this book as they struggle to stay away from the past they left behind in the hole. The love between these two characters is so genuine and heartwarming against the darkness of the world they live in. My favorite character of all would have to be Zeus. He’s quirky and just plain funny at times, and that’s saying something since he is a dog. The authors beautifully mix the light against the dark plot lines and keep readers continually engaged throughout the entire story. While some readers will moan at yet another cliffhanger, I was delighted by it only because that means we will get another book in this series. My only hope is that I can get to it far sooner than I got to read this one.